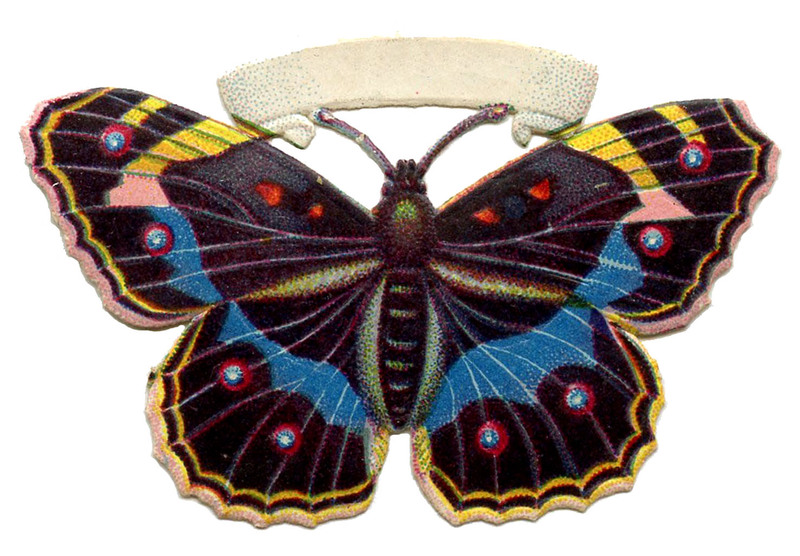 Here we have another lovely Free Vintage Butterfly Image! I’ve been in such a Butterfly mood lately, we have had so many pretty ones flying around here this Spring. I hope you’re not tired of them yet! This old scrap piece has a lovely pink and green color combination. It also has a sweet little paper banner attached, so that you could write a little message on it. This would go very nicely with a similar Butterfly Image that I posted last week, you can find it HERE. 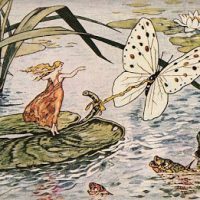 Beautiful Thumbelina with Butterfly Vintage Butterfly Image – Spotted Antique Botanical Print with Insect! hi ! more translation engine ? I never get bored with butterflies! This one is beautiful, thanks, and keep ’em coming. Hi, Karen — I don’t leave messages often enough but I do want to be sure you know how much your images are loved and appreciated! This butterfly is precious! So beautiful Karen. 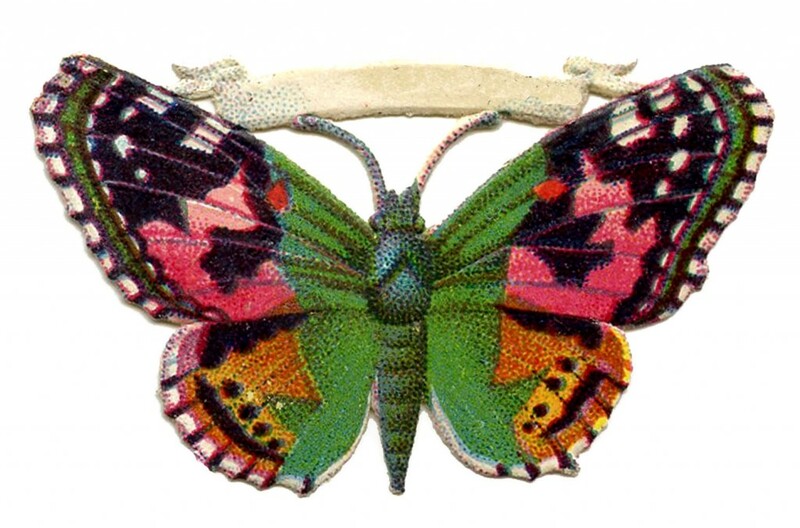 Etcetorize blog has been featuring great butterfly projects for Butterfly month so I’m happy to get this gorgeous image to use in a mobile project. Thanks so much for this and all the incredible images you provide for us daily.